I always knew Susan Sarandon and I had some kind of connection. On the face of it, the links appear thin. She, after all, is a brilliant Hollywood actress, who speaks out bravely on a number of political and social issues. I only ever appeared in one school play. As a tree. She’s rich and beautiful, and I ain’t. So it’s good to find out she’s been back in Wales checking out her roots. And the search, according to the Carmarthen Journal, has included Laugharne. Now, a friend of mine maintains that Laugharne is the source of all that is dark and ungodly in my character, my mother’s family having lived there for centuries. 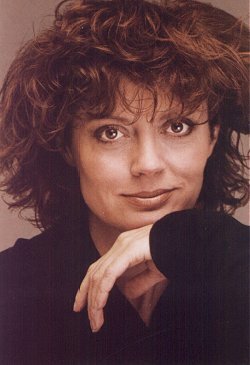 But if Sarandon’s ancestors are town folk, surely the place is a beacon of goodness and light. Lots of coverage of the death of Hollywood actor Glenn Ford on BBC Radio Wales this morning. No mention, though, that the 90-year-old, Canadian-born star of Gilda was born Gwyllyn Ford and was of Welsh descent. FAO Springsteen fans: divorce rumours scotched? Bruce Springsteen fans will be interested in the world scoop on a small New Jersey news website Red Bank Green. The site reports that rumours (which started in the right-leaning, anti-Springsteen newspaper the New York Post) that the singer-songwriter’s marriage to Patti Scialfa is over, appear to be untrue. According to Red Bank Green, the couple were out shopping together in Red Bank, New Jersey, on Friday afternoon. The site’s editor, John T Ward, reports they were holding hands and laughing, while Scialfa admitted the rumours were “the pits”. GCSE results tomorrow. Science was my weak spot. Back in school the lab was a place to mess around. I remember how we laughed so cruelly one afternoon when a magnet placed in a glass container full of oil leapt towards another being moved along the outside. The experiment – God knows what it was about – was successful. But the magnets collided at such speed that the glass broke and oil spilled all over the harassed teacher’s trousers. Our laughter seems very hurtful now, particularly as from the lab we watched him make the long walk up the school drive to change. Funny now, that I enjoy science programmes on the TV. Perhaps I am playing catch-up. Experiments at school never seemed connected to anything, or I certainly never made a connection. History and literature at least had themes which seemed to matter. Now, of course, I see it differently. Last week I interviewed one of the most controversial scientists of the last few decades, Chandra Wickramasinghe. He was one of the first to propose that life started not here on earth but was generated with material from comets which smashed against the surface of our planet. Fascinating man and career. Although my CSE Physics provided me no help at all during our conversation. Anyone know the area well? Question posted as follow-up here . Can anyone answer this one? Good turn out for today’s Dic Penderyn Commemoration which took place at the entrance to Cardiff market where he was hanged in 1831. 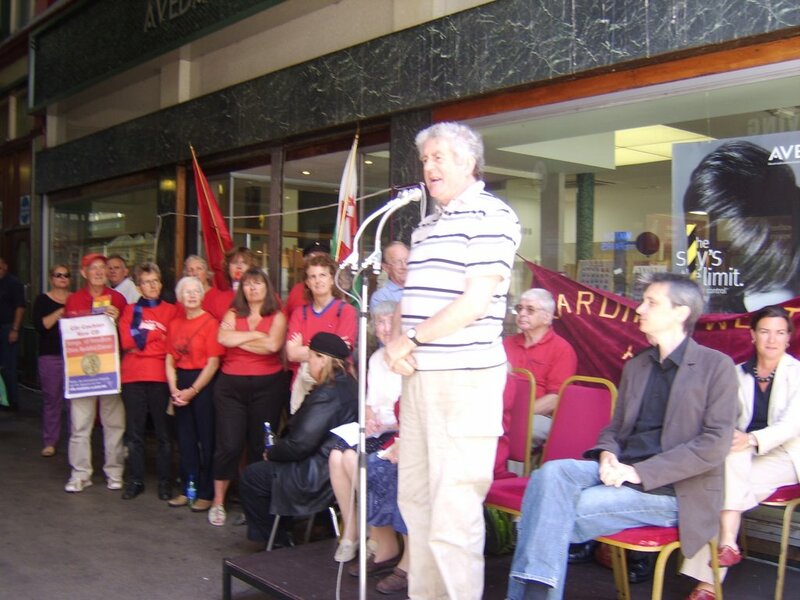 The event honoured not only Penderyn, but the late Councillor Charlie Gale and Welsh volunteers in the Spanish Civil War, especially Alun Menai-Williams who died last month and Bob Peters. The event was hosted by Eluned Morgan MEP and First Minister Rhodri Morgan, and the speakers included Sally Robert Jones and me! I waffled on about Alun and Bob. 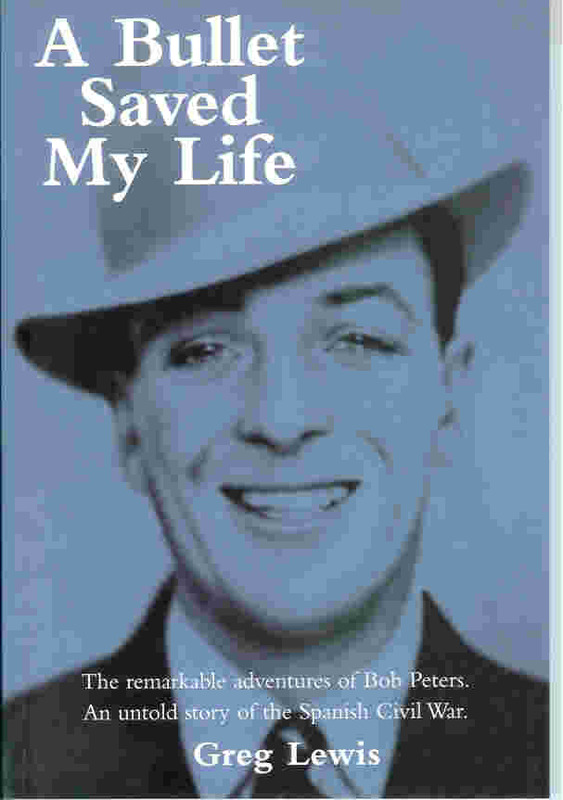 : For those interested in Spain, my obituary of Alun Menai-Williams is in The Times today and the book on Bob Peters, A Bullet Saved My Life, is available now from Warren & Pell . This interviewer never realised what a difficult shift it would be.